Hi there my name is Ollie Moon and Welcome to OM Carpentry, which I founded just over two years ago. 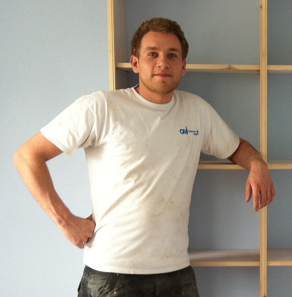 I’m based in Tunbridge Wells and have over 10 years’ experience in the carpentry and joinery business. My work has taken me to the other side of the world and back where I have worked on the Wharfs of Sydney Harbour to the Churches in our Kent country side. I provide the following – timber repairs, decking, garden furniture, compost bins, picket fencing, gates, log bins, sash windows maintenance and repair, flooring, skirting, architraves, door hanging, locks, picture hanging, flat pack furniture, wardrobes, radiator casing, book cases and much much more! I take each job as serious as the other and no job is too big or small. I’m a perfectionist and pride myself and work on my friendly, reliable and trustworthy service. Please ring today to discuss your requirements.